Of all the challenges in the HSF 2014, Challenge #16, due 1 September, is probably the one I’m most excited about. 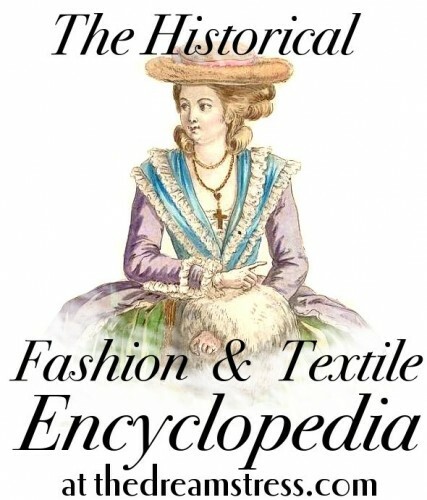 The theme is Terminology: pick something that’s been defined in the The Great Historical Fashion & Textile Glossary, and sew it up! Terminology posts aren’t the most popular things I write, but they have been my favourite things to write the last few years. I’m a serious history nerd, so I always want to know exactly what something means in a historical sense, and why it means that. I’ve really enjoyed researching each of the terms, so that I could not only define it, but understand where it fit into the societal context of the day, and how the term would be used in relation to similar items of clothing. 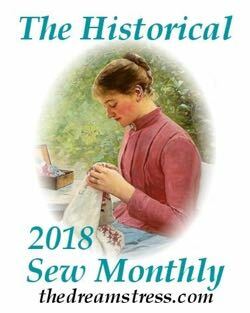 I’ve also really enjoyed the guests posts which usually explore a term and a textile from an era I don’t usually work in. Whether through my own research and posts, or through guests posts, I’ve learned so much in researching each term, and hopefully some of you have found the posts enjoyable and interesting! When it comes to the HSF challenge, there are endless possibilities for what you could make. There are dozens of different fabric (from aerophane and alamode to viscose & voile), simple things like buffons and fichu (fichu en marmotte! ), and complicated things like Chesterfield coats, tea gowns and robe de cour. 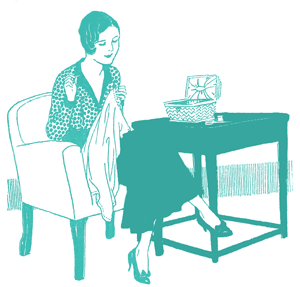 There are shoes (Moliére & Cromwell), hats (bergére and picture hats), and bags (reticules), outer-garments (burnouses and pardessus), and undergarments (symmetricals and stays), to name just a few. I’ll also be adding to more terminology posts over the next two months as well. There are some exciting guest posts involving Bronze Age textiles in the works, and I’m almost done with a post on the difference between brocade, damask and jacquard (plus a discussion of all the other textiles made with a jacquard loom), and have a post on the difference between worsted and woolens close to publishing as well – both of which are good multi-period terminology posts. I like the hero image for the Encyclopedia. 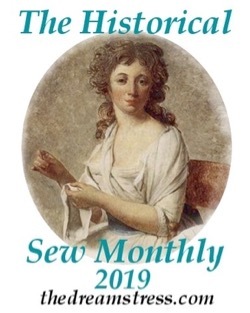 She’s wearing a bergere and a fichu (almost fichu robings), and I’m thinking I should write a post about muffs…. Whatever the challengers make, I hope using the Encyclopedia broadens their historical understanding, and through making the item (and additional research), I’m sure they will broaden mine! Happy creating! I love your terminolgy posts. Like you, I want to know how terms developed, how they fitted in, how they changed. And I want to know this based on solid, reliable evidence. In all these respects, your posts make me happy! If they entertain me, teach me something new, and maybe make me laugh, so much the better. I think my favourite is still the one about the marmottes. That one ticked all the boxes, and is, besides, a glorious example of the sheer daftness of fashion! I really love your terminology post, I only never respond to them because I never have something clever/interesting to say (or qeustions, your post are very thourough 🙂 ) I think, toghether with your in progress costume-posts (I love a look into your ‘kitchen’ ) they are my favourite posts. Exactly–great posts, nothing else to add! Hmm… terminology posts may not be popular, but they are some of my favourites! I am a complete geek when it comes to textiles and clothing and I love how much detail you go into. The terminology posts are some of my favourites too, but I’m a history nerd. I can’t wait for your Bronze Age guest posts! I haven’t yet decided what I want to do for this challenge and I’m sure I’ll get some good ideas from the Bronze Age posts. I know! It should practically be a theme all on its own! Finished early. A mid-1880s skirt using brocade. This one’s not very historical, but it’s the first part of my Alternate Universe challenge entry. I chose the term bodice. Done, I made a 1740s Jumps. I made a Regency spencer jacket out of Osnaburg! 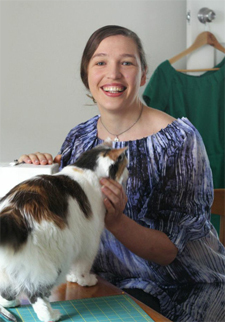 Next PostSuper technical historical costuming stuff…look, KITTY!